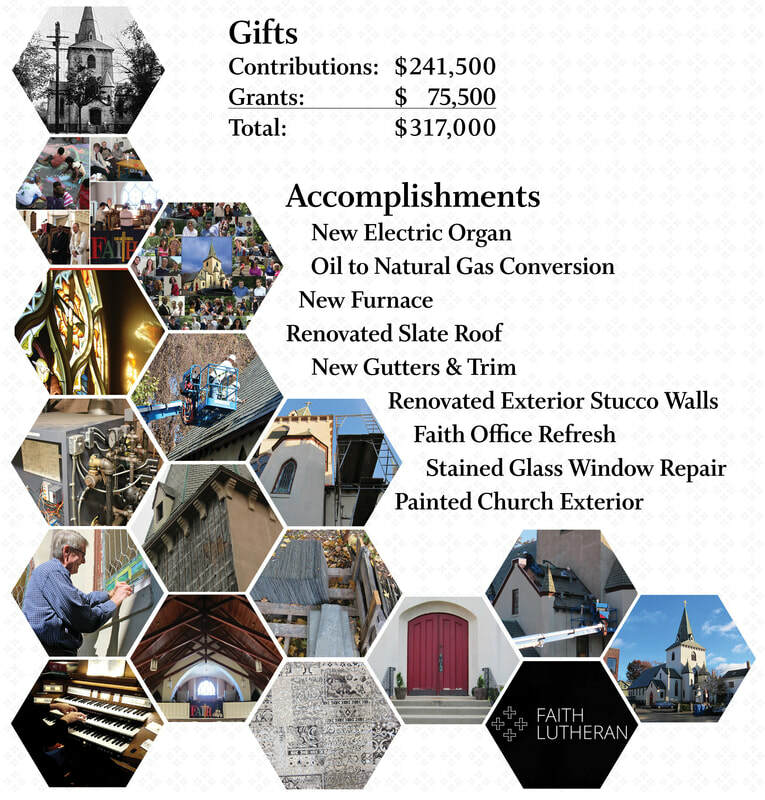 After four years the Building Faith Campaign has officially concluded. Together, we raised a total of $317,000 through a combination of individual contributions and grants from the City of Cambridge Historical Commission. Many of the projects originally proposed have been successfully completed. Faith Lutheran Church would like to send a sincere thank you to everyone involved in this important campaign.